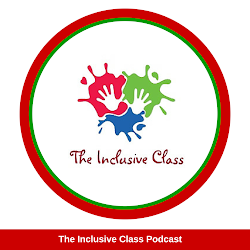 If you have been listening to The Inclusive Class Radio Show, then you have heard our expert guests repeat over and over again that inclusion is not a place, it's a way of perceiving, behaving and interacting with one another. The inclusive classroom best demonstrates that message as it begins with the belief that all children belong. Each child can demonstrate and achieve success, in various ways, according to their abilities, strengths and areas for growth. Language, as our guest Kathie Snow pointed out today, it a vital component of inclusion and an inclusive classroom. 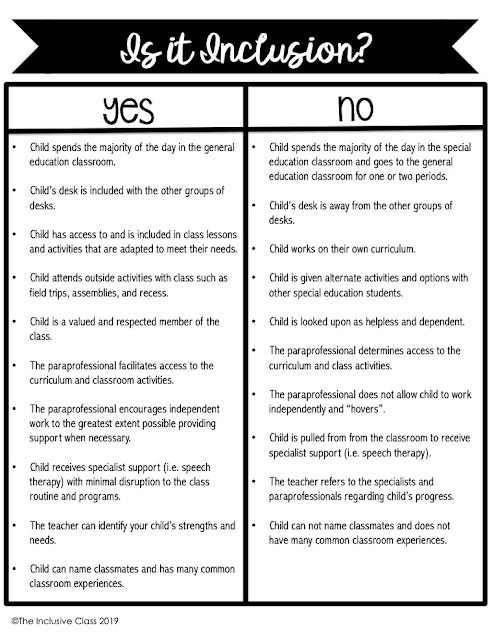 In the inclusive classroom, the teacher not only sets up physical opportunities for all students to look included, but the teacher makes students feel included through his/her choice of words and phrases. Instead of This student can't.., say, This student is learning to.. Instead of Stand in line from shortest to tallest, say, If you are wearing red (insert other color here), please line up. Instead of Raise your hand if you have the answer, say, Write/draw/type your answer. Instead of Choose a partner, say, Find someone you haven't worked with before. Even if your child is not in an inclusive classroom, nor are you a teacher in an inclusive environment there isn't an administrator, school board, lack of funding, or support that can deny inclusive language. 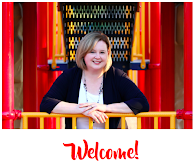 Inclusion has to begin somewhere and the words we choose are free and easy to use!